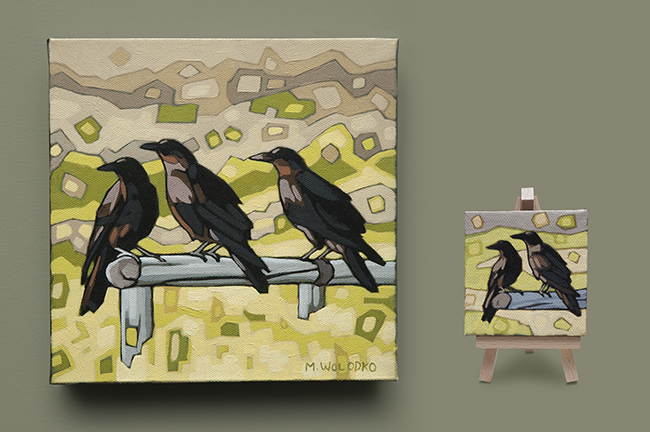 Three Crows 8″ x 8″and Two Crows 3″ x 3″. 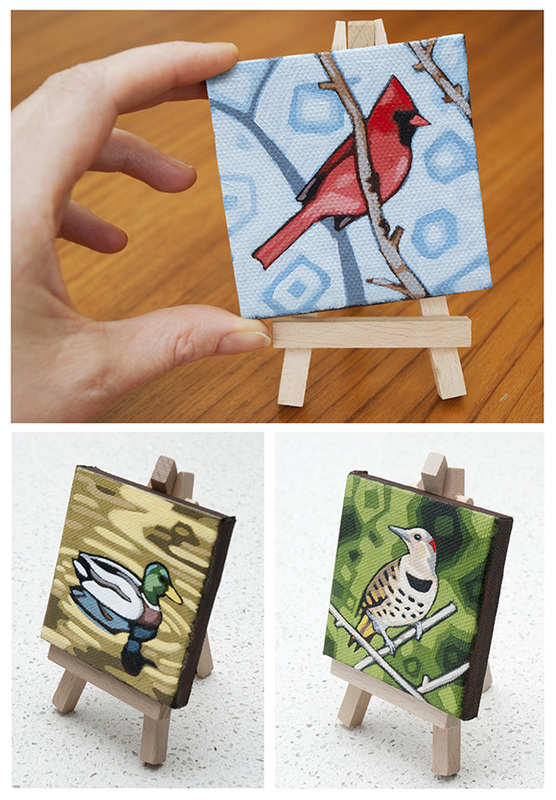 A tiny painting can sometimes be a great study for something larger. 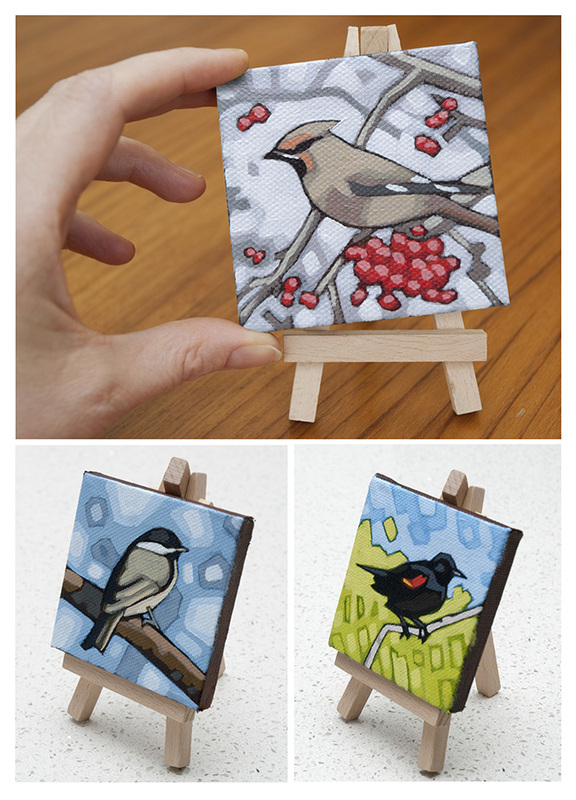 I painted the 3″ painting with my usual series of tiny paintings for Christmas, then the larger one. Here are three more. For sale on Etsy. 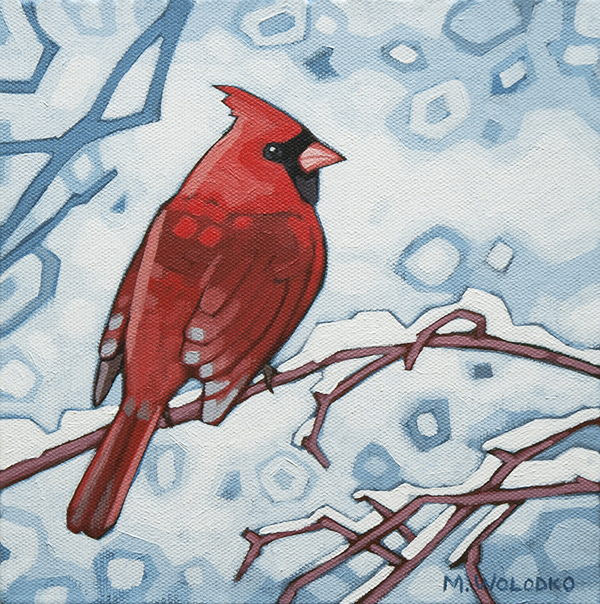 Yes, more birds. Only smaller this time. 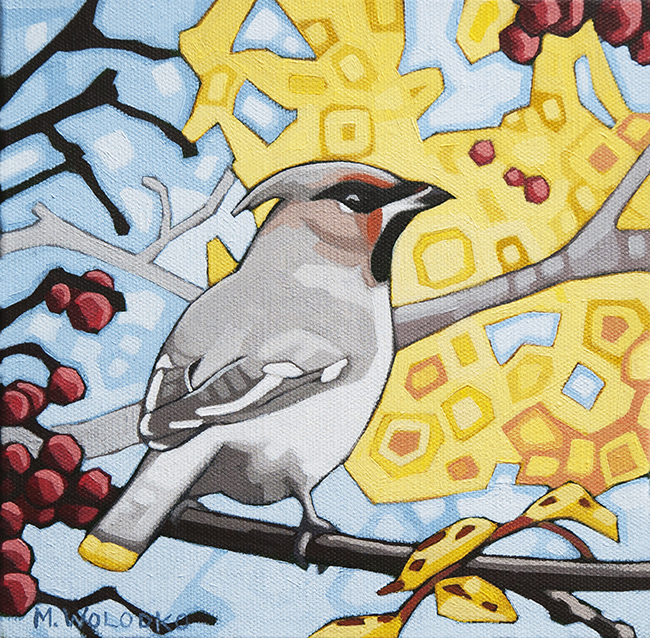 Here’s something to brighten up our grey winter. And I finally remembered to take a photo of my work at the Corner Cup. 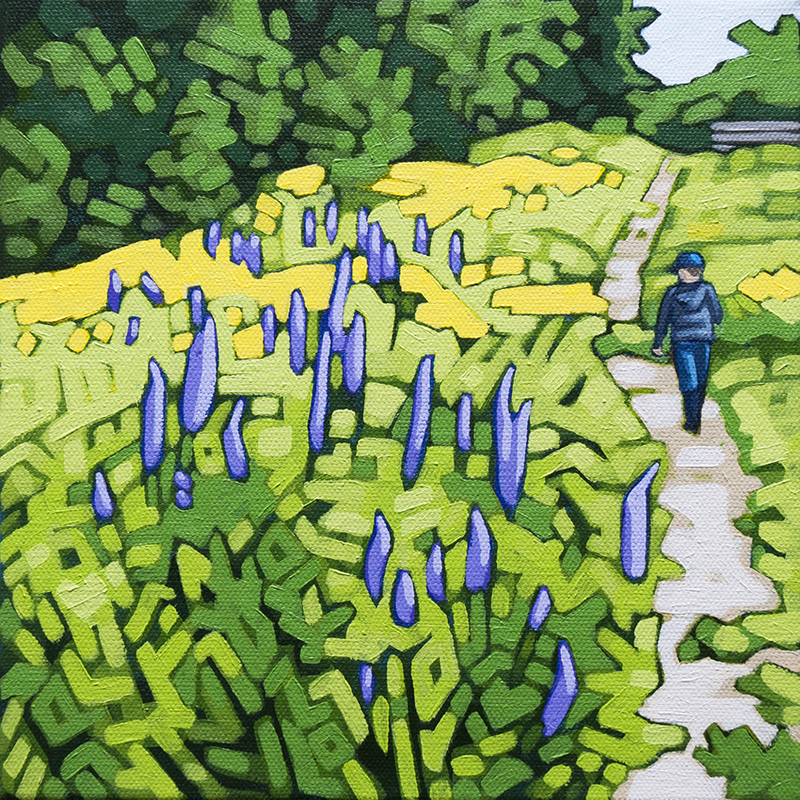 This painting and many more are now on display at Corner Cup in Vancouver (corner of 4th and Blenheim). 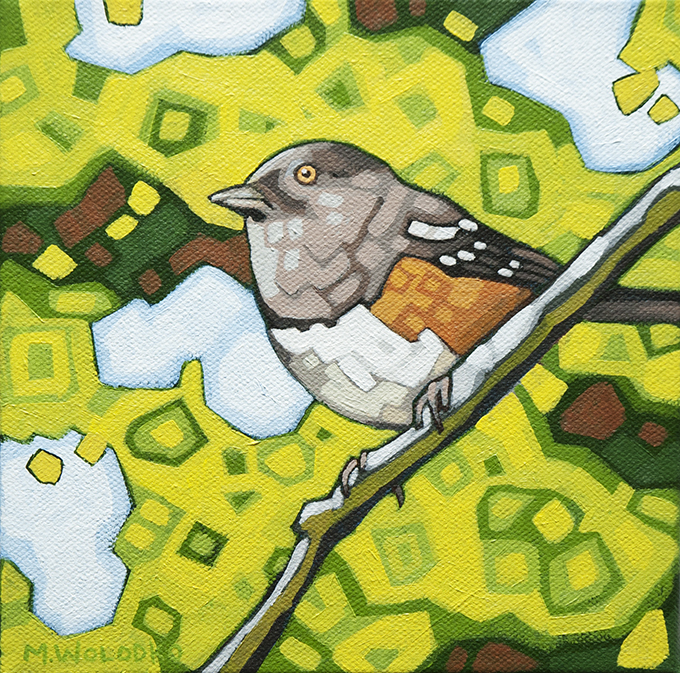 Spotted Towhee 8″ x 8″ Available on Etsy. 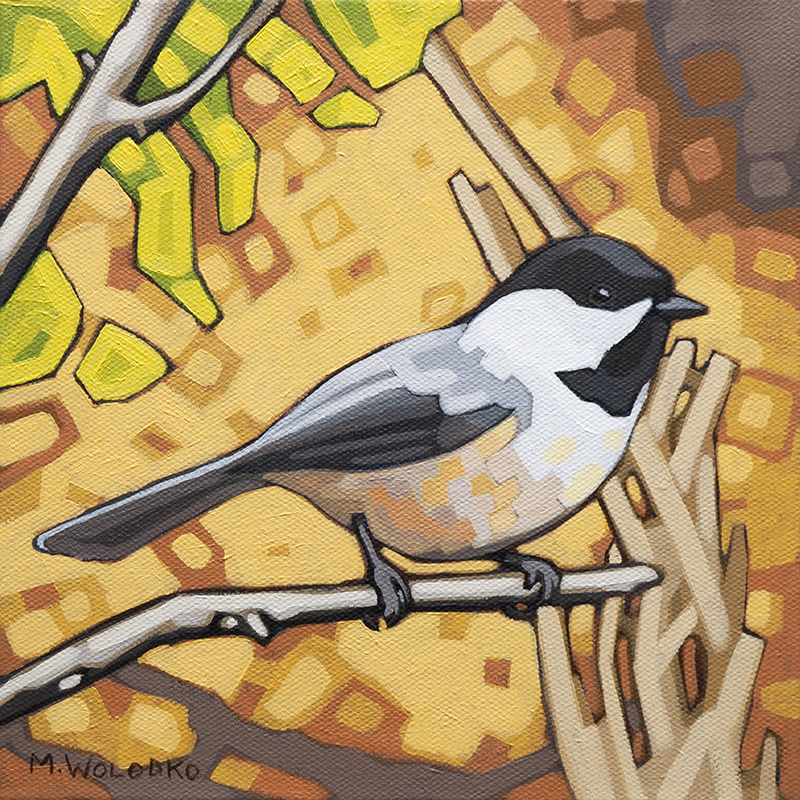 I see lots of these guys in the park, usually foraging under the bushes. 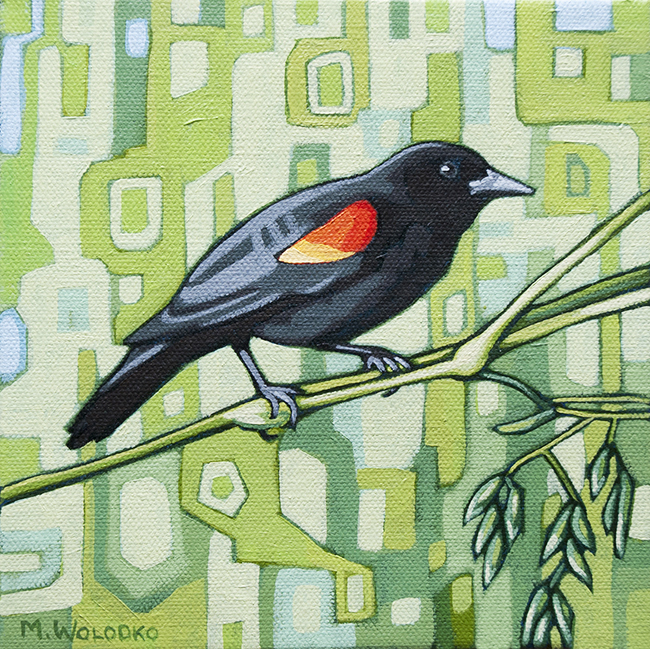 Easy to recognize with their beady orange eyes. 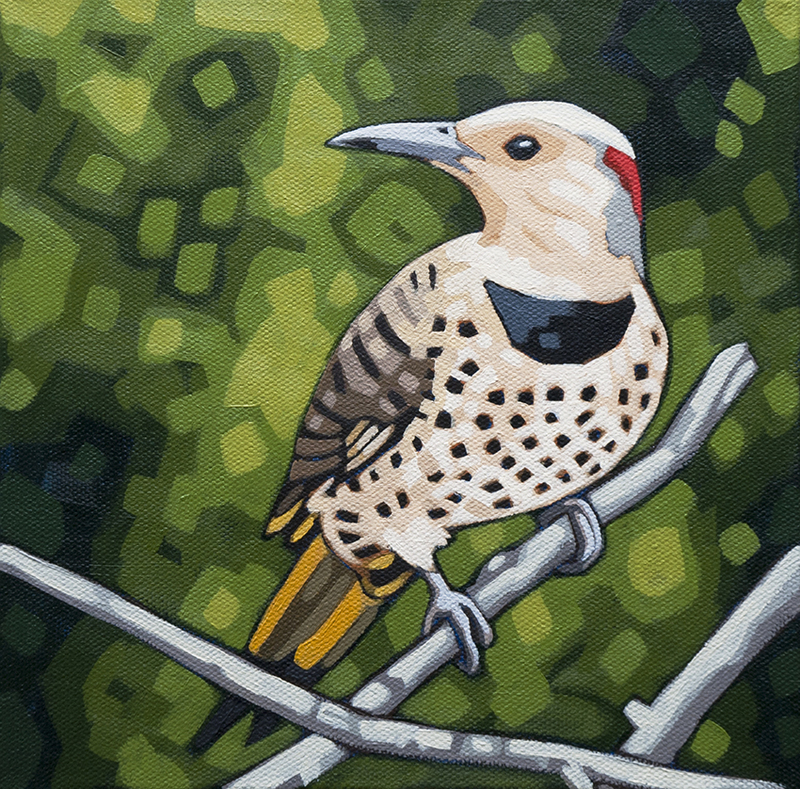 Northern Flicker 8″ x 8″ Available on Etsy. 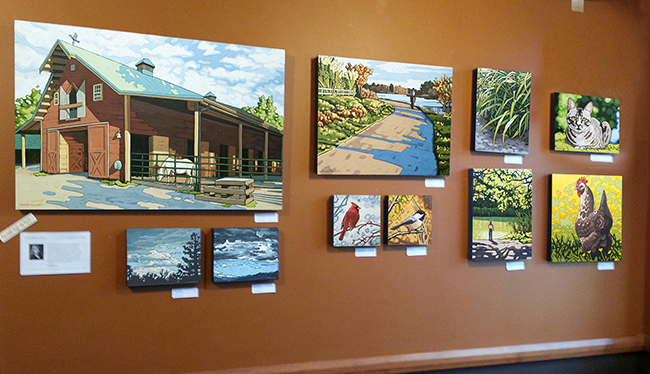 When I look at the paintings I’ve completed over the past year or so, I notice a trend. I seem to be going back to the subject matter that I loved throughout my childhood and teens. Horses, pets, birds and wildlife. It hasn’t been intentional. They are fun, and one leads to the next until I have a series of animals. It’s fun to compare the new to the old. 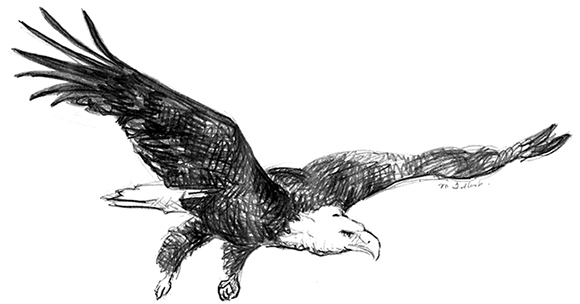 This is a sketch from many years ago.